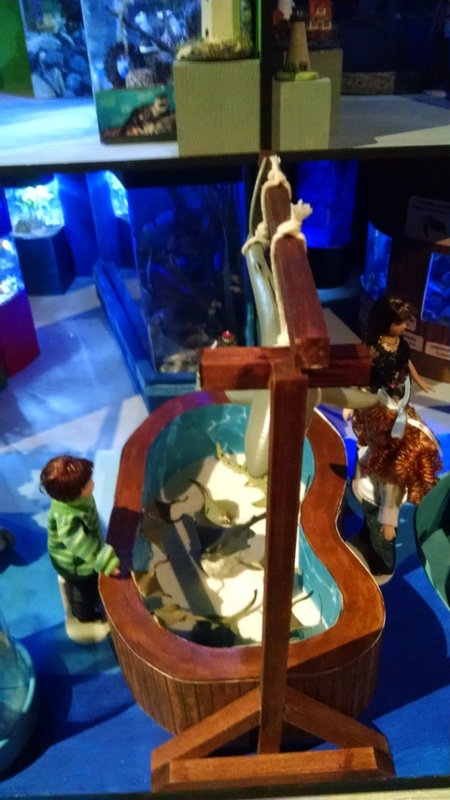 Vote for your favorite at the Maritime Aquarium’s 2015 Festival of Lighthouses! This Ray Touch Pool is one of the many stunning details in Nancy Todd of West Haven, CT’s, “Droste Pointe” entry. The 2015 Festival of Lighthouses is up and running at the Maritime Aquarium in Norwalk, CT (where I am a volunteer Gallery Ambassador, in case readers of this blog don’t know)! This year’s 14th annual exhibit features 22 large models crafted by artists from Connecticut and New York. These creepy pumpkin men beckoned guests to the arched entrance. For some reason, these made me think of T.S. Eliot’s “The Hollow Men.” Maybe it’s literal, or maybe it’s the image I conjure every time I read that poem. 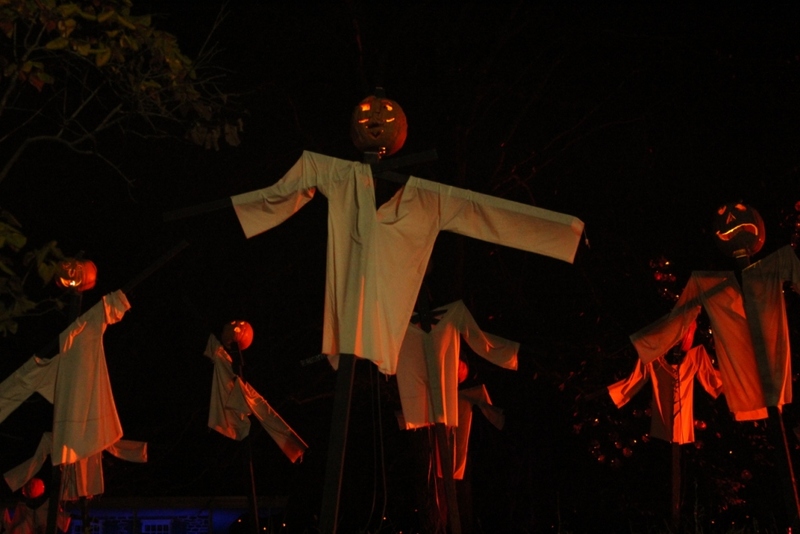 It’s almost Thanksgiving, and even though this is still very much a “harvest” time of year (at least for a couple more days), the Historic Hudson Valley, New York’s Great Jack O’Lantern Blaze has come to a close for 2015. SNOWBOUND: WITH ZOMBIES now available; pix from release event! 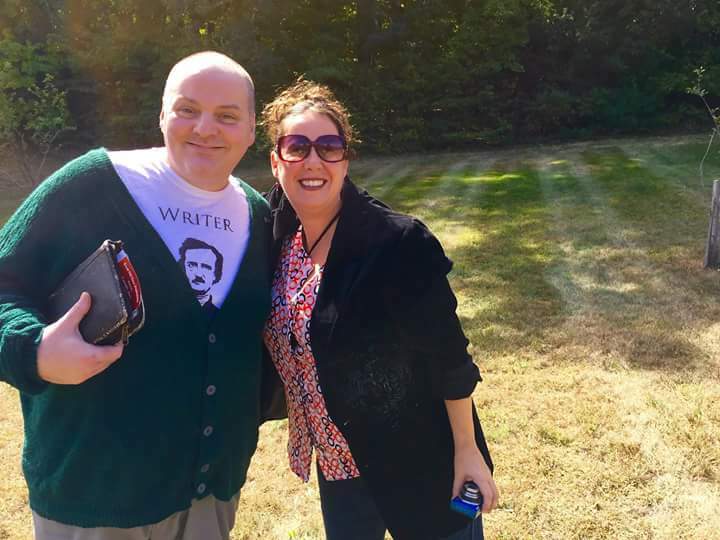 Me and writer Gregory Norris in the field near the bee hives at the SNOWBOUND: WITH ZOMBIES anthology release event at the John Greenleaf Whittier Birthplace in Haverhill, MA. Photo by Judi Calhoun. 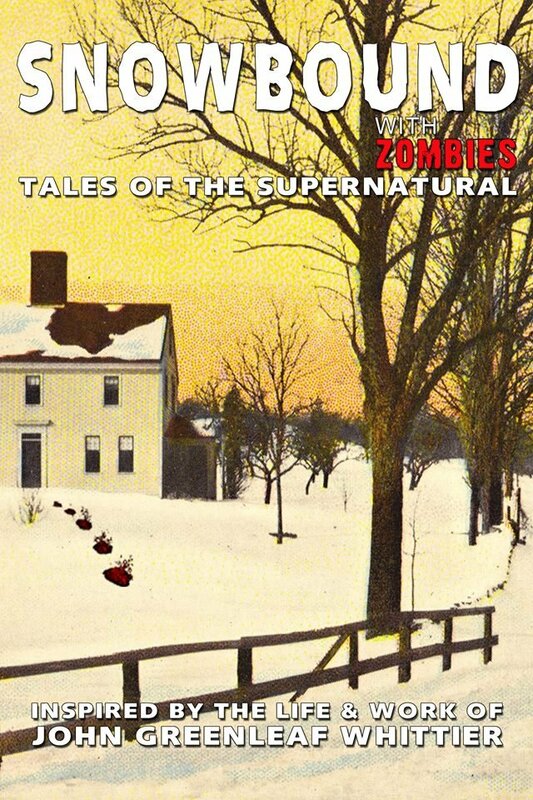 Winter’s right around the corner, so there’s nothing more perfect than announcing that Snowbound: with Zombies, a collection of horror stories inspired by the supernatural tales of the poet and abolitionist John Greenleaf Whitter, is now available! The official release event held at the 327-year-old birthplace museum in the barn and carriage house was a great success (see pix below)! All proceeds will go to the museum. 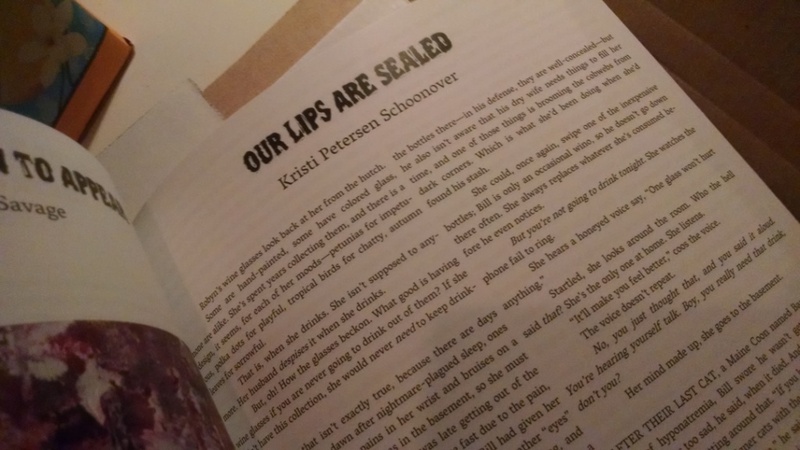 The anthology contains my short story “Shreds of Black,” which is based on Whittier’s poem, “Telling the Bees.” It appears with twenty-two other works by John McIlveen, Peter Rawlik, Christopher Golden, Scott Goudsward, Morven Westfield, Celia Thaxter, Stuart Conover, W.H. Pugmire, Roxanne Dent, Ken Faig Jr., Judi Calhoun, Tracy L. Carbone, KH Vaughn, Joseph A. Citro, Karen Dent, Hannah Gonsman, David Bernard, Michelle Souliere, Gregory L. Norris, and Faye Ringel.